Senior Kayla Zhang fights to retain possession in the Tigers' road loss. The girls’ basketball team fell in their matchup against the La Cañada Spartans 56-37 on Friday, January 11th. The Tigers’ failure to penetrate the strong Spartan defense and land free throws allowed La Cañada to maintain a wide point margin throughout the game. Unlike the Tigers’ previous league matches, the skill and organization of the Spartans proved to be a challenge for the South Pas athletes. As the team’s struggles became more pronounced, the Tigers started to give way to more aggressive play. Several times, players were knocked to the ground, spurring an accumulation of fouls for players on both teams. Junior Megan Yee started off the first quarter by sinking a three-pointer shortly after tipoff, putting South Pasadena in the lead 3-0. However, the Spartans too found a groove, scoring 14 points before senior Lauren Kafkaloff and freshman Allyson Tse managed to stop the bleeding with a combination of layups and free throws. Even so, the Tigers were unable to score again through a barrage of Spartan attacks, and the quarter ended 21-6. 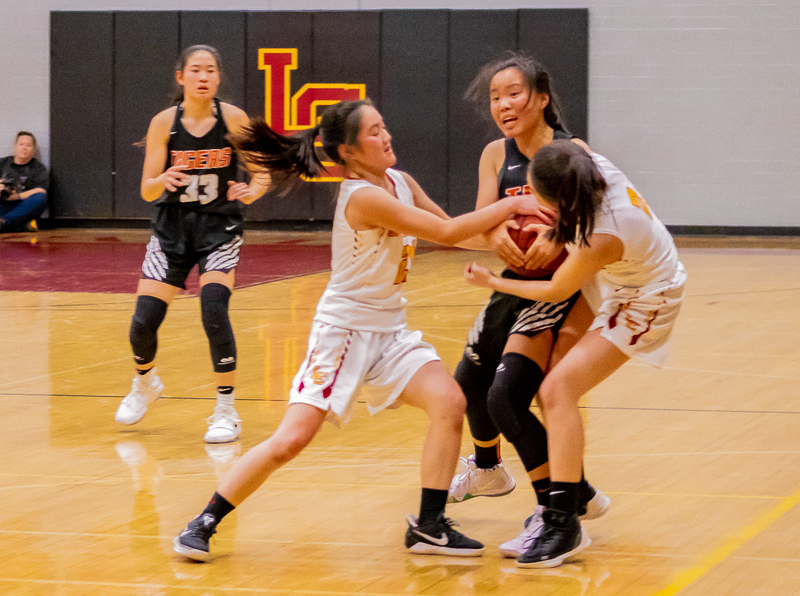 Throughout the second and third quarter, the scoring contributions of juniors Charlize Kruzic, Sydney Sakumoto, Aiko Sudijono and senior Kayla Zhang weren’t enough points to bridge the gap that La Cañada had created, as the Tigers ended the third quarter down 46-28. In the last quarter of the game, the team could not overcome the superior size of the La Cañada athletes, and the game finished in a final score of 56-37. This game marks the team’s first league loss of the year, which brings their league record to 2-1. The Tigers will look to redeem themselves on Tuesday, January 15th in their home game against Blair.